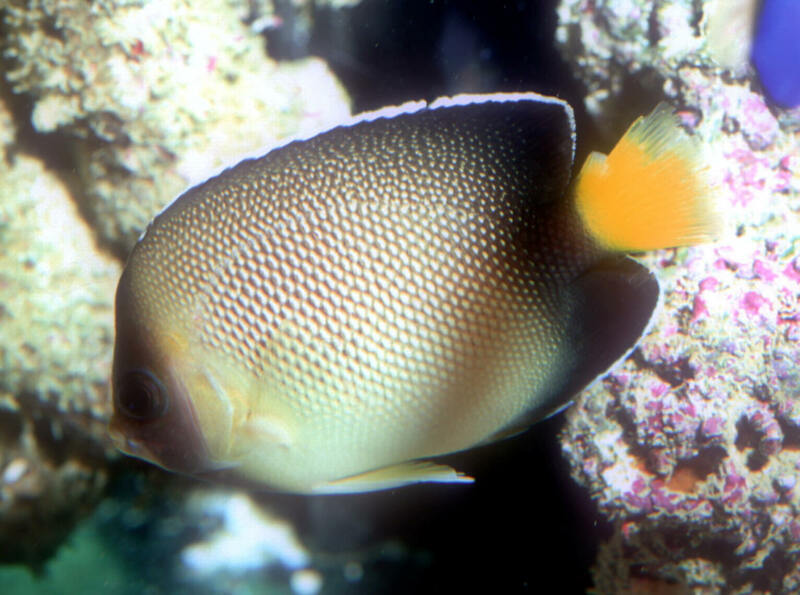 Apolemichthys xanthurus (Bennett 1832), the Indian Yellow-Tail Angelfish (1). A darker version of A. xanthotis. Found around India's southern point and the Maldives. Also to about six inches in length. Aq. pic. Centropyge argi Woods & Kanazawa 1951, the Cherub or Atlantic (Caribbean) Pygmy Angel (1). To 2.5" overall. Bermuda on down to the coast of Brazil. Cozumel, Mexico pix.